Free Thai Cashew Chicken Today at Panda Express! 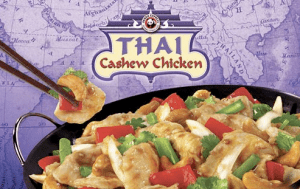 Today, Wednesday, October 3, 2012 Panda Express is offering FREE Thai Cashew Chicken with printable coupon here. This is a single serving and one coupon per person on 10/3/12 only. They did a similar promotion over the summer (I obviously went) and it came in a small take-out box. It would be a good light lunch or snack, so don’t save this for dinner unless you make rice or something else to help fill you up. There’s a few locations in Boston and the suburbs. To find your nearest location, please click here.